Jim Turnbull, CIO at University of Utah Health Care (UUHC), is the recipient of the CHIME-HIMSS 2012 John E. Gall, Jr. CIO of the Year Award. 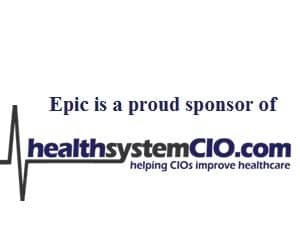 The award recognizes healthcare IT executives who have made significant contributions to their organization and demonstrated innovative leadership through effective use of technology. It is named in honor of the late John E. Gall Jr., who initiated the implementation of the world’s first fully integrated medical information system at El Camino Hospital in the 1960s. During his 37-year tenure in the industry, Turnbull led the deployment of EMRs and installation of CPOE at three different health systems with three different vendor products. Prior to joining UUHC in 2008, he held CIO posts at The Children’s Hospital in Denver from 2000-2007 and at Sarasota Memorial Hospital from 1993-2000. Turnbull is a former Chair of the CHIME Board of Trustees and a Fellow and former president of HIMSS. He is a lifetime honorary member of HIMSS and has been a CHIME member since 1993. His academic background includes a BA in Organizational Psychology, an MBA from the University of Western Ontario, and a DHA from the Medical University of South Carolina. Under his leadership, The Children’s Hospital in Denver was recognized for its advancement of EMRs by KLAS as the Most Integrated Children’s Hospital in 2007. Turnbull will receive the award at the 2013 Annual HIMSS Conference in New Orleans on March 5, 2013.